This upcoming season, the Wisconsin Union will host a wide variety of speakers through the Wisconsin Union Directorate Distinguished Lecture Series Committee. Coming to share their riveting stories, captivating research, and controversial opinions, the following speakers are sure to make attendees leave with a new perspective. 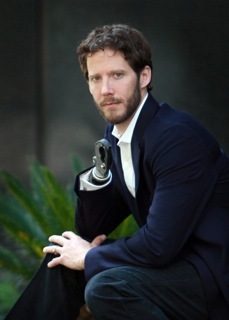 In 2003, Aron Ralston’s story made headlines worldwide. After being pinned by a half-ton boulder for nearly a week in a remote canyon in southern Utah, Ralston narrowly escaped death by severing his right forearm with a dull pocketknife. He then hiked and rappelled for five hours before searchers in a helicopter miraculously rescued him. Ralston documented this life-altering experience and his remarkable will to survive in his New York Times best-selling book, Between a Rock and a Hard Place, and his story has been adapted into a movie titled 127 Hours. Life is full of hard choices, but few come close to the decision Ralston had to make. In this lecture, he’ll give a first-hand account of his unimaginable experience and what led him to make the decision he made. Ralston will explore the human condition and how one can find strength even in their weakest moment. 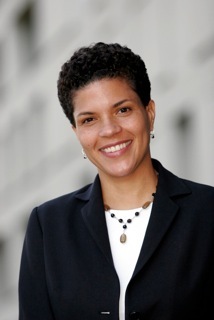 Michelle Alexander is a highly acclaimed civil rights lawyer, advocate, legal scholar and the New York Times Best-Selling Author of The New Jim Crow: Mass Incarceration in the Age of Colorblindness. The New Jim Crow is a stunning account of the rebirth of a caste-like system in the United States, one that has resulted in millions of African Americans locked behind bars and then relegated to a permanent second-class status denied the very rights supposedly won in the Civil Rights Movement. Alexander argues, “we have not ended racial caste in America; we have merely redesigned it.” This lecture will explore the apparent lack of rights supposedly won during the Civil Rights Movement. As a highly acclaimed civil rights lawyer, Alexander challenges us to face the troubling statistics and explore a new standard of justice in her efforts to achieve true equality. Frank Warren is the sole founder and curator of the PostSecret Project: A collection of over 500,000 highly personal and artfully decorated postcards mailed anonymously from around the world, displaying the soulful secrets we never voice. The PostSecret website has received more than 450 million hits, and Warren continues to receive between 100 and 200 postcards everyday. 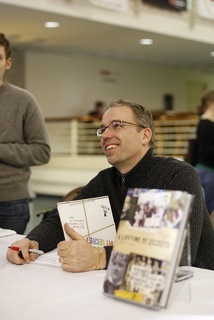 Warren’s first book, PostSecret: Extraordinary Confessions from Ordinary Lives is a New York Times best-seller. Described as “the most trusted stranger in America,” Warren has revealed the deep-rooted, soulful, somber and passionate nature of the anonymous people. During his lecture, he will discuss the growth of his business and what contributed to its success. Warren will also shed some light on the human desire to “PostSecret,” and what those secrets say about our culture. 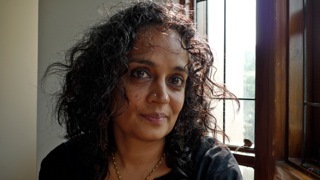 Arundhati Roy is a novelist and political activist from India most famous for her first book The God of Small Things, which won the prestigious Booker Prize in 1997. Since then, Roy has focused her efforts on political activism becoming a leading voice in movements against globalization, neoliberal policies, and the use of nuclear weapons. Roy will explore how even the seemingly minor experiences we endure have the potential to change our lives in profound and unimaginable ways. In her lecture, she will read selections from her work and inspire thought and discussion throughout. 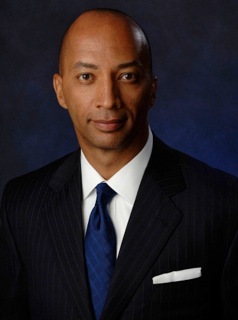 Known for his thought-provoking coverage and his commitment to exceptional storytelling, Byron Pitts is a multiple Emmy award-winning journalist. As Chief National Correspondent for CBS Evening News, Pitts was an embedded reporter covering the Iraq War and was CBS lead correspondent at Ground Zero immediately following the 9/11 attacks. Pitts is a news veteran with over 20 years of experience. Raised by a single mother in a working class neighborhood in Baltimore, Pitts was illiterate until the age of twelve and had a persistent stutter. He learned to read and went on to attend Ohio Wesleyan University. In this lecture, Pitts will shed light on how even in the face of adversity he rose to the top of the journalism field. In this inspirational story, he’ll share his experiences covering major world events and how they have not only shaped him as a journalist, but as a person. The Wisconsin Alumni Research Foundation and the Wisconsin Institute for Discovery have gathered the University’s top faculty for a lecture in the spirit of the Wisconsin Idea and the Year of Innovation. This lecture will aim to celebrate the research and ideas of the best and brightest the University of Wisconsin – Madison has to offer and expose both the campus and the wider Madison community to their work. Often those who facilitate ground-breaking research on campus, remain behind the scenes. During this lecture, the UW’s brightest thinkers will reveal the exceptional research and discovery taking place on campus and how their work can benefit the community.